Heat oven to 350°F. Spray 24 mini muffin cups with cooking spray. 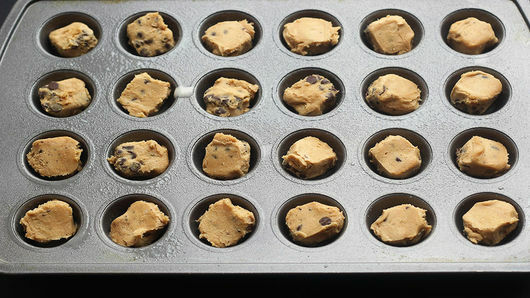 In each muffin cup, place 1 piece of cookie dough from 1 package Pillsbury™ Ready to Bake!™ refrigerated chocolate chip cookies. Bake 10 to 12 minutes or until golden brown. Remove cookies from oven. 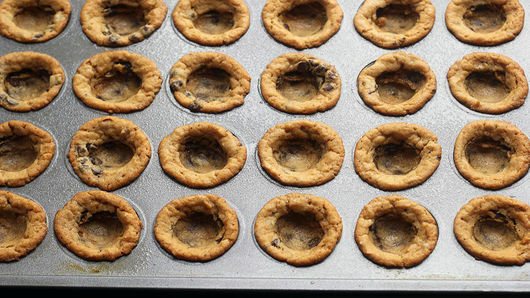 Gently press small 1/2 measuring teaspoon or tiny spoon into center of each baked cookie to make shape of cup. Cool in pan 10 minutes. Meanwhile, add 1 box (4-serving size) strawberry-flavored gelatin to 1 container (8 oz) frozen whipped topping, thawed; stir until well combined. Cut hole in 1 bottom corner of food-storage plastic bag; add decorating tip. 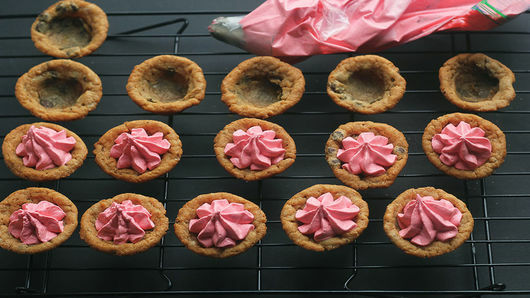 Fill bag with strawberry mixture; pipe into center of each cooled cookie cup. 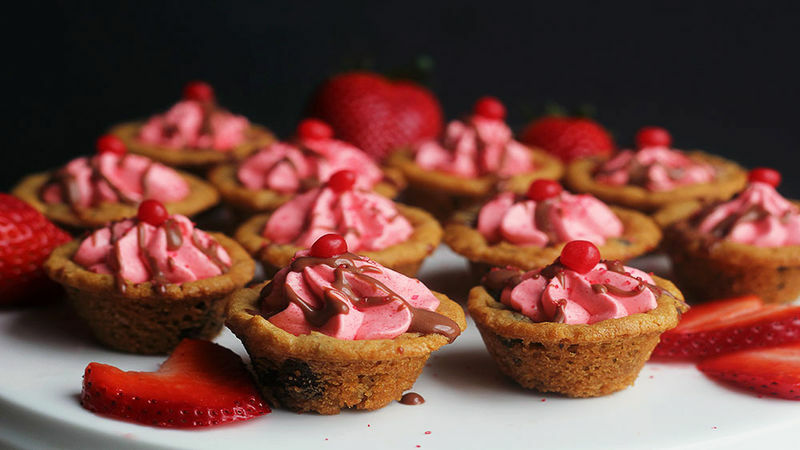 Drizzle cooled 1/2 cup melted chocolate chips over top of each filled cookie cup. Garnish with red sugar and candies. Serve immediately. Store in refrigerator. You can try this same recipe using any cookie dough you please. This recipe would also be wonderful with sugar cookie dough. If you need to thin the chocolate, beat in a little cream or milk with a whisk before drizzling over the cookie cups.